Visiting my world, why donâ€™t you stay a little while? Itâ€™s nice, when it wants to be. This is my world. So Iâ€™ll tell you the rules. You must accept them with good grace. Ask for nothing in return. If I tell you my secrets, if I let you in, donâ€™t whisper about me in the hallways like the other people do. Donâ€™t hurt me with your pride. But donâ€™t kill me with kindness either. Do not assume I am weak. I can speak for myself. So here are the rules. They are simple to understand. More like guidelines, to guide you through. A helping hand. An offer of secrets. The people here are not as friendly as me. They change with the wind and the tides. Then again, so do I. Show no fear and they wonâ€™t eat you alive. Be too nice and theyâ€™ll stamp out your light. Donâ€™t be taken for a fool. Yet do not judge too harshly. Your opinions matter, but donâ€™t vocalise them all. Everything matters. But nothing does. So there are the rules to guide you through. 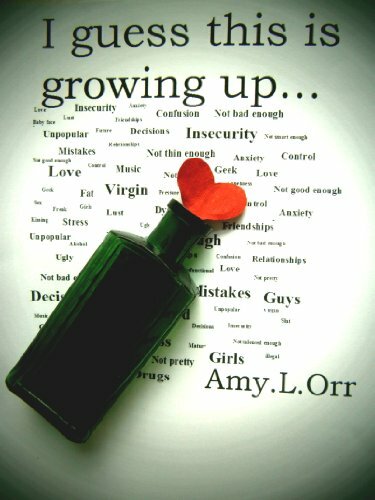 They are the rules of growing up. Be good and run along now. Discover more for yourself. And remember one thing kid, donâ€™t let them break you.